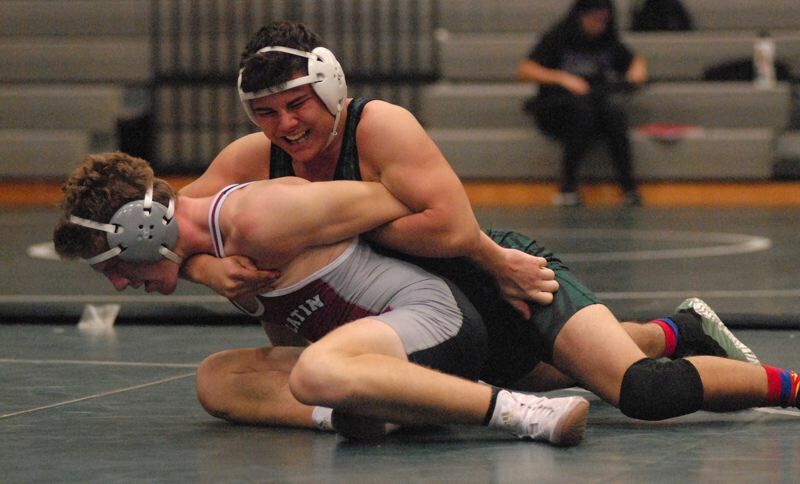 Estacada senior Hunter Gotchall needed only 31 seconds to claim the heavyweight title at last weekend's Regional wrestling tournament in Tillamook. After drawing back-to-back byes to start the tournament he pinned his final two opponents, highlighted by taking Tillamook's Brian Rieger to his back in four ticks in the title bout. Estacada finished second out of the eight teams with 224.5 points, edging Woodburn by one point. Tillamook won the tournament with a 474 total. The Rangers did most of their damage in the upper part of the weight ladder, scoring 130 points from 170 and above. Estacada went 10-6 (.625) in main-bracket bouts at those weights. The heavyweight division proved the most successful with Kenny Clark winning a pair of consolation bouts to reach the third-place match. Lance Moser (195) finished as Estacada's top scorer with 28 points. He spent a total of 7 minutes, 12 seconds on the mat in pinning his three opponents. Sam Garrison won the 152-pound title by a 5-2 decision over Tillamook's Tommy Cruz after scoring pins over his first two opponents. Nico Winsor (220) opened with a first-period pin and went on to win his third-place bout by fall in the third round. 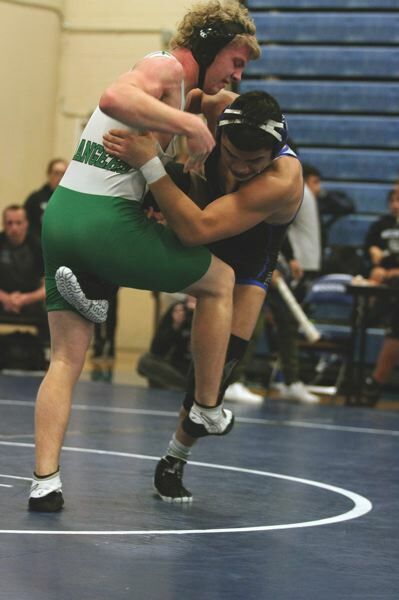 Estacada saw four other wrestlers reach the third-place bout in Dylan Adcock (182), Cole Simmons (170), Caleb McDonald (126) and Landin Vittletoe (120). Kaden Settle (160) won back-to-back consolation bouts, and finished the tournament with a pin over Repahael Mauck out of Banks in the fifth-place match. Kaiden King reached the semifinals at 106 pounds and wrestled back to win his fifth-place bout by fall in the second round. The 4A state tournament begins Friday, Feb. 22, at Memorial Coliseum with first-round bouts at 4 p.m. The championship session is set for 7 p.m. Saturday. This story is slated for our Feb. 14, print edition.